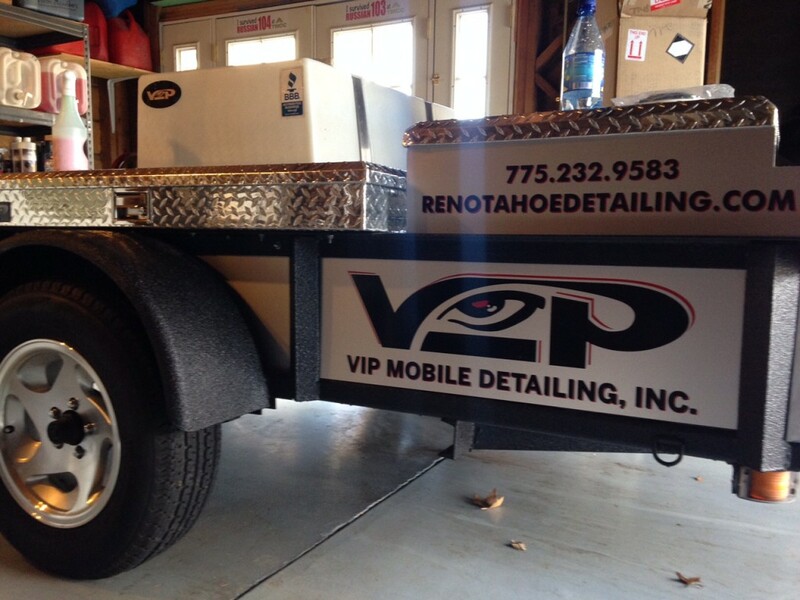 Local mobile car wash and detailing company, VIP Mobile Detailing, needed some new graphics for trailer and on location signage. 509 Creative created the graphics and installed the vinyl onto the trailer panels. We used a 2 part red and black vinyl application. Check it out!